In Intentional Communities Pioneer How to Do More with Less, Laird gives an excellent overview of intentional communities, their relationship to solidarity economics, and the persistence and growth of the IC movement long after “’60s communes” faded from popular consciousness. In recent decades, the Fellowship for Intentional Community's Communities Directory (both in print and online) has provided an ongoing record of the diversity of these communities. And since 1972, a quarterly magazine has also documented this movement—often in much more detail than a single volume or online listing can provide. With the exception of a several-year hiatus in the early 1990s, Communities (published since 1992 by the FIC) has been the primary forum for sharing stories and information, discussing ideas and issues, and recording IC culture in North America and (increasingly) around the world. Articles cover every flavor of IC from urban co-ops to cohousing groups to ecovillages to rural communes, and also individuals and groups creating and enhancing community in the workplace, in nonprofit or activist organizations, and in neighborhoods. A journal dedicated to exploring “Life in Cooperative Culture,” Communities seeks and shares writing that delves below the surface, describing the challenges as well as joys of cooperation in its many dimensions. We value honesty and authenticity—the only ways we can truly learn from one another; we find inspiration arising from shared humanity, not too-good-to-be-true utopian tales. In community, people’s experiences of coming together to address challenges and overcome obstacles are often just as inspiring as their more immediate successes. We have more themes lined up, with no end in sight. While Communities appears in some retail outlets (good for attracting new readers), our economic lifeblood consists of subscriptions, donations/sponsorships, and advertising revenue. We depend highly on our readers/supporters to keep us afloat—not always easy in today’s economic/publishing climate. We hope to attract a substantial number of new subscribers over the coming year (including, we hope, some of you reading these words) to help us continue to pay the bills. We do make portions of each issue available free online at our website. There you’ll find excerpts from every back issue mentioned above, and more. But the print edition (soon to be available by digital subscription as well) is the only way to appreciate the full depth and breadth of each issue. 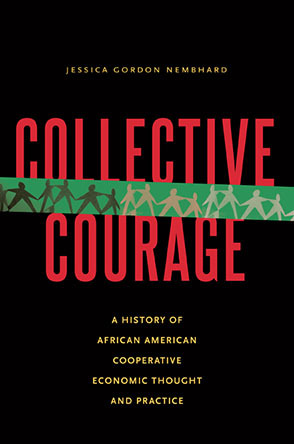 We are also preparing digital back issue excerpt packets and other materials to help readers tap into the vast resources related to cooperative living that we’ve assembled over four decades of publishing. Together—but only together—we can afford to keep publishing Communities. Finding meaningful, socially and ecologically responsible work cannot be done in a vacuum. Right livelihood depends on networks of relationship. Additional relevant articles abound at our web site communities.ic.org. We hope you’ll be visit to read more! Thanks for being part of this collective journey toward a more sustainable, cooperative world. Chris Roth edited Talking Leaves: A Journal of Our Evolving Ecological Culture for eight years, and has edited Communities since 2008. A resident member of Lost Valley Educational Center/Meadowsong Ecovillage in Dexter, Oregon, he has lived in intentional community and on organic or permaculture farms most of his adult life. Contact him at editor [AT] ic.org.